In New York Times bestselling author Julie Kagawa's groundbreaking modern fantasy series, dragons walk among us in human form.Deserter. Traitor. ROGUE. Ember Hill left the dragon organization Talon to take her chances with rebel dragon Cobalt and his crew of rogues. But she can't forget Garret, the soldier of the dragonslaying Order of St. George who saved her from a Talon assassin--and by doing so, signed his own death warrant. Determined to save Garret from execution, Ember must convince Cobalt to help her break into the Order's headquarters. With assassins after them and Ember's own brother helping Talon with the hunt, the rogues find an unexpected ally in Garret and a new perspective on the underground battle between Talon and St. George. A reckoning is brewing, and the secrets hidden by both sides are shocking and deadly. 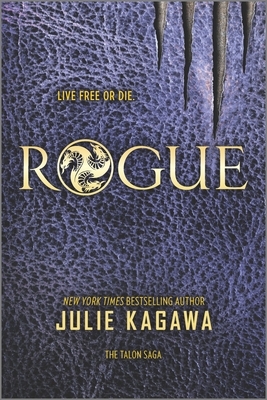 Soon Ember must decide: Should she retreat to fight another day...or start an all-out war?Don't miss the first book in Julie Kagawa's highly anticipated new series, SHADOW OF THE FOX, AVAILABLE OCTOBER 2, 2018"Kagawa's storytelling elevates this novel within the crowded field of fantasy romance."